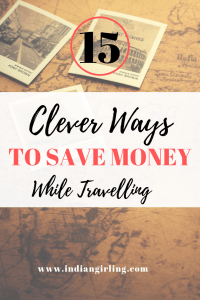 As a travel hacks blogger, you think you know all the travel hacks for saving money that exist. I asked a bunch of experts including travel bloggers, vloggers and long time nomads to give me their best tips, and here’s what I found. Some of these money saving tips may surprise you! 4. Check the online price of a hotel before booking it in person. 5. Use Trusted Housesitter to stay for free. Start planning your big trips 10 months to a year in advance and set up travel alerts through Skyscanner to find the cheapest flights to your destination. Avoid late night flights as you might have to spend on the hotel stay for that day inclusive. The usual checkout time is before 12. Instead opt for flights that leave between 10AM-6PM. This way you get to have breakfast, roam around, come back and pickup bags and leave for airport without paying for an extra day. When starting your fare search with an airline, always enter that there is only one passenger, regardless of how many people you are actually traveling with. The reason being is that airlines have set up pricing algorithms to automatically increase the price once a certain amount of tickets are sold. If you have two or more people on a reservation, and they only have one seat left at the lower price, the airline will quote you at the higher price for everyone on that reservation. Once you price what one ticket costs, then re-do the search for everyone you are traveling with so to see what the total cost is. When booking a hotel the last minute, always check the cost online before asking in person. On several occasions, the price at a hotel was inflated once they knew our options were limited. Be prepared to ask them to match the online price, or book online before checking-in. Use trusted Housesitters to get free lodging all over the world. Typically it is North America, the UK, and Australia. You get a membership and apply to different job openings. I’ve been able to stay in Atlanta, Austin, and Colorado. I also get to take care of cute dogs. It’s awesome getting a whole house to myself. You can even spend a bit more and be able to post your own ads for your own travel. It’s an exchange of services so you get or offer a place to stay for free and you give or get free pet care. I plan to use it for my trip to Hawaii. When traveling to a place that offers a dining plan, really look at the total and compare to the restaurants it covers. If many of the menu items are cheap, then you actually end up paying more by doing a dining plan a lot of times. Example: Disneyworld. We love Disneyworld and their food. They offer different dining plan packages. We selected the deluxe one because it included more restaurant variety. We recorded what our price would’ve been during the trip without the plan vs the plan. And in the end we didn’t save, we overpaid. So my tip, if your a food lover do your research on what is available before you go. Try to plan a daily food budget and stick to it. My number one tip is to cut down on restaurant meals; if I am traveling to a city/country that’s significantly more expensive than mine I might grab some instant coffee packs with me or if its a cheaper country I still try to buy those things from local market and do some meals/ have at least a coffee in my place of stay as it does cut down on price. Don’t buy food at the airport or on the plane, take sandwiches or pre made food instead. Food at airports and in planes tends to be 2x the regular price, you can save a ton by preparing some snacks in advance. Dry fruits are nutritious and come in handy when you are running late, or lunch/dinner is postponed. Plus they are light weight and don’t need much space in your luggage! Bring your own coffee or tea packets with you. When living in hostels or airbnbs, you may not always have free breakfast and this is so important to set your mood for the day! Especially for those coffee lovers, no running around for that first cup in the morning! Use a toilet at some big shopping centres or 5-star hotels (even if you don’t stay there) because those are usually very clean and so avoid paying for public toilets. It’s the small things that make all the difference! Volunteer to be part of the experiences you want to have. We got to be part of excursions that should have cost us over $2000/each! I always use Free Walking tours, as this market has grown so big in the last years just make sure you search for honest responsible tour operators who follow good ethical principles. 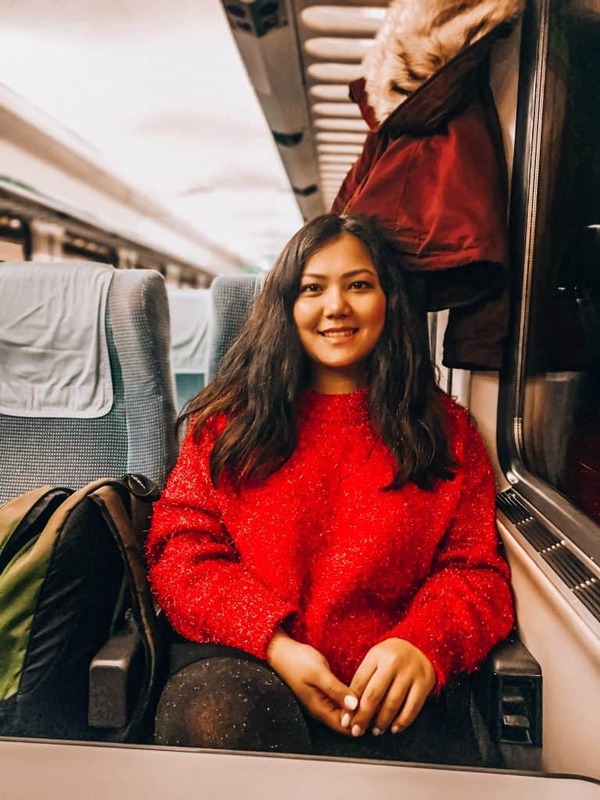 Saving money is great, but being a solo woman traveler means putting your safety as PRIORITY. Never compromise your safety for a “deal.” Sometimes, its better to just pay for that single room or guide. I save the most important tip for the last. The amount of money it will cost if your flight gets cancelled at the last minute, you lose your passport, get something valuable stolen or even end up in an accident is monumentally huge. Save yourself the trouble of losses, and make sure to have a reliable cheap but convenient travel insurance. Do you have some more travel hacks for us? Drop your tips in the link below! I am going to be following this going forward.